Home Uncategorized How To Breed Betta Fish Let’s Find Out! How To Breed Betta Fish Let’s Find Out! How To Breed Betta Fish At Home! In the market today many people are seeing an increase in selling Betta fish. While people are selling them, many people have the question on how to breed them and how hard the process may seem. We have combed the internet and found the best possible answers for you to help you better understand the breeding process of breeding more and more Betta fish possibly giving you the option to sell them yourself. on this page we will take you through many steps to give you the best benefits to produce these amazing fish, how long the live and much more. Are you ready to have the question “How To Breed Betta Fish” answered for you and start breeding yours today? Just one fish is kept in 1 bottle. 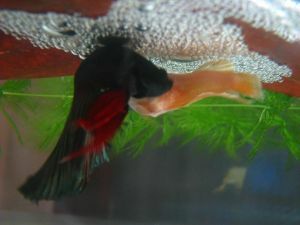 Because Betta fish are tropical, they will take a heater, irrespective of weather conditions. Betta fish have lots of endurance to starvation. 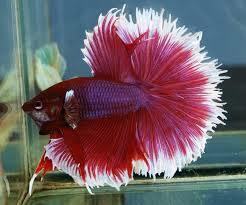 There are various varieties of Betta fish, but all of them have a tail that may spread 180 degrees. 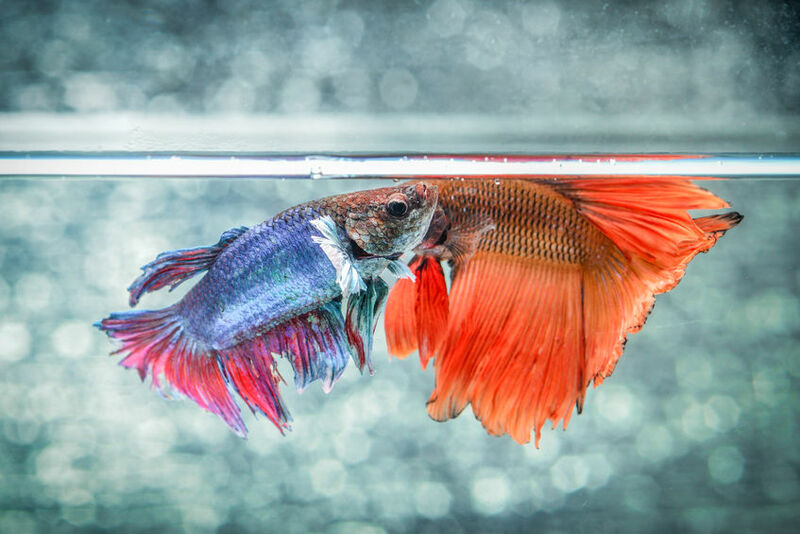 The best thing about keeping Betta fish is that you may breed two contrasting colors or types to find a more attractive outcome. It should be fed 3 times a day, but, do not overfeed the fish. Then, it is going to start looking for a female Betta fish for reproduction. How To Breed Betta Fish And Best Practice! Before you begin the breeding process you Betta fish there are a few things you will need to know fist such as, male or female, tank to place it in, landscape it needs and which ones to breed together. Are you ready to learn How To Breed Betta Fish? 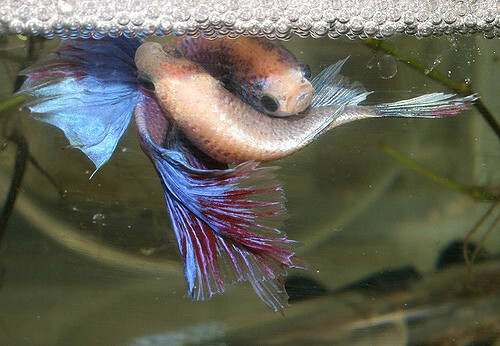 Choosing your Betta to breed: Fist it all comes down to knowledge, the more you know about the magnificent fish the better the ability to breed them. You can learn various things on the internet about these fish such as what to feed them and how often. The next thing is are you interested in genetic breeding or just normal breeding from the same species. Find out if they are male or female before you go off and buy one so that you will know which ones to breed and if they will even breed. Betta’s tend to breed at a much younger age, so also make sure they are not really old because they may not breed at all. Making the tank breed worth: When setting up the tank you want t make sure that you get a tank between 5-10 Gal, and there is a divider between the two fish. Make sure the temperature is around 80 degrees F, and that they are in an area with less movement around such as humans and other fish. Also make sure you get an adjustable filter such as a sponge filter with a gang valve. once you have that all set up you are ready to place the two Betta’s in the tank, one on each side of the divider. Breeding The Two Amazing Fish: Over the course of the next couple of months you are going to be spending some time with these guys, making sure they are in good health and you are doing a great job as a co parent to them. Start off by feeding them live blood worms or even brine shrimp. When you are ready you introduce the two Betta’s to each other placing them on each side of the divider will help them get to know one another. This should start to spark their interest in one another. You will see the male swim around fins all spread out trying to get the females attention. The female will bow it’s head in a submissive forum. If it looks like they are trying to fight on each side of the divider, take them out of the take and try again later. The smaller space for the female the better for breeding, but you don’t want to go to small. Introducing them is the key to knowing How To Breed Betta Fish, after you have watched how they act you are ready to remove the divider. You know the male is ready to breed when you see a huge bubble nest which takes about 2-3 days to build. When the bubble nest forms turn off the filter and finally release the female into the males side of the tank. You will see a little bulling coming from the male a bit, but this is normal. The courtship of the two fish will take several hours or even days, be sure there are plenty of hiding spots for the female to escape to when being bullied and check on the two regularly. Now nature will take it’s course. The male will get the female under its bubble nest and the female will start looking more and more like a zombie while her eggs fall to the ground. The male will swim down and pick up all the eggs placing them in the bubble nest. Over time they may embrace each other many time but soon stop and won’t breed anymore. After The Female Is Done: The next step when you see the female done laying eggs is to remove her all together into another take. The male will now raise the kids from here. Treat both tanks with Maroxy to help heal the mothers wounds and to help reduce the risk of fungus from killing the eggs. You will leave the male in the take until you are able to see the Fry (baby fish) swim on there own, at this point you will remove the father to help so he won’t eat the babies. The fry will hatch from there eggs about 2 days after being laid and may not come down from the nest for a few day. At this time while the father is still being a father, you can feed him every other day. If he shows signs of not eat, don’t worry this is normal. Feeding The Frey: Finally both the male and female are out of the take and all that’s left are the fry as they swim around. One thing to make sure you do is only feed the fry live and very small food, also make sure you don’t turn on the filter to help prevent and current from taking the fry where they don’t want to go. The fry can eat live micro worm but don’t be shocked as some may die and you may only see 20 left our of the 50 that were once there. You will only need to feed them these micro worms for about a week, after that you will move to baby shrimp. Take time with the fry make sure they are growing and that the temperature of the take is around 80 degrees F. When the fry are about 1.5-2 weeks old turn on the filter but restrict the flow with the gang valve so it really doesn’t look like it’s moving. The Final Steps: Every few days you want to make sure the tank is clean with no dead food left over, you want to make sure they fry are growing healthy and you want to make sure you have clean healthy water for them to strive in. At this time you can start turning off the tanks light at night and slowly increase the flow of the filter over the course of the next few weeks. Around 2 weeks of age you should place the fry in a 20 GAL tank to allow them to grow together. Start taking the fry off live food and placing the normal Betta food in there. When you starting seeing the males fighting it’s time to remove them, placing them in their own tanks. Males that are not fighting can be left with the females until they start to become aggressive, in which times you want to remove them from that enclosure into their own. Now you know more How To Breed Betta Fish! Lets Recap How To Breed Betta Fish! Now You Should Know How To Breed Betta Fish! You have done it, you have successfully breed your Betta’s and now you are ready for more. While yes this is one process that make take time, you also have to remember fish are a bit easier than other animals when is comes to taking care of them and trying to breed them. Remember you may not get a lot of money selling your fish but in the long run it can be rewarding if you have a bigger breeding area. 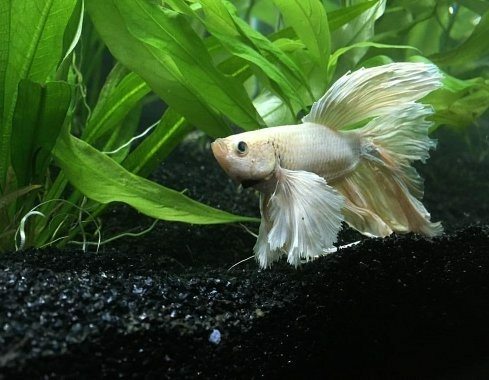 While most Betta’s are cheap at the store there are some breeds that are very rare and you may even benefit more from. Now you are ready to show off what you have done to everyone. Wait you have more question, don’t be scared everyone has many questions about these guys. One of your biggest questions is going to be, “How do I know if it’s female or male”? 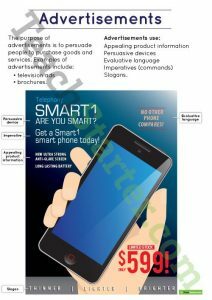 this is a very common question, to get the answer to that you can click here. If you are wondering anything else that you may not know, the internet can be your best friend. Enjoy your fun with these amazing fish and now know How To Breed Betta Fish. 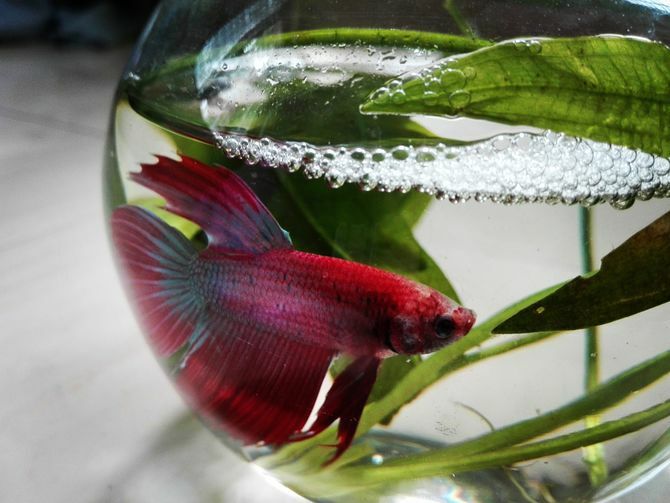 Previous articleHow Long Do Betta Fish Live, Do you know? Next articleHow Much Protein In Salmon! What is This White Spot On Fish! Orange Tropical Fish Look Amazing! How Much Protein In Salmon! How Long Do Betta Fish Live, Do you know? Copyright © 2017 fish-disease.com. All rights reserved.